Put the power of the sun in your grasp with Arizona Accurate and break free from high energy costs. We are a leading provider of solar power in Phoenix and throughout the state. Installing solar panels is more in reach than ever before and there’s no better place than Arizona to take advantage of the sun’s abundant energy resources. Solar panels absorb the sun’s energy. Sunlight releases electrons that flow at a direct current into a power inverter. 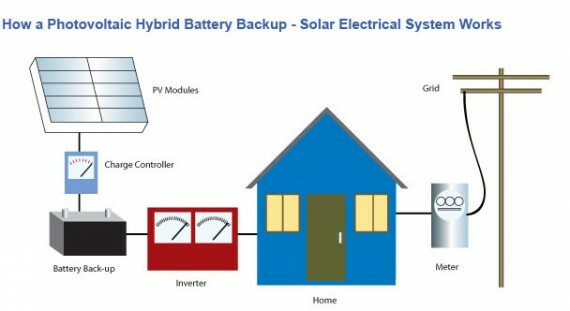 The inverter then turns the power from the solar panels into usable energy that is directed into the electrical grid. The utility company monitors how much energy you have generated with you solar electric system. Your electric bill is then adjusted by how much energy you have generated by your solar electric system. This will then lower the cost of your electric bill. 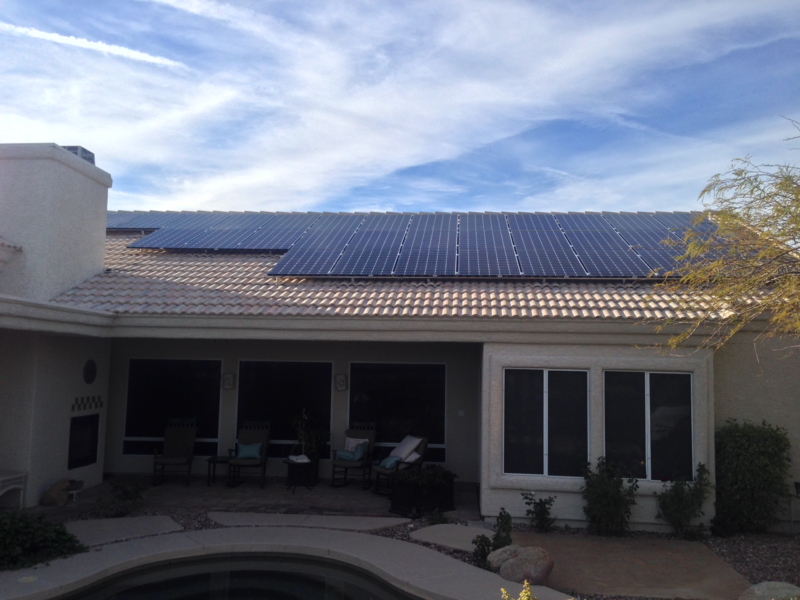 Save Loads of Money with Arizona Accurate Solar Electric System Installations. Panels on your roof collect sunlight, even on cloudy days. Sunlight releases electrons that flow at a direct current into an inverter. The inverter transforms D.C. into A.C. which is the electricity used in your home. The energy is then directed into the electrical grid and then offsets your bill depending on your energy production. Solar modules mounted on your roof or ground collect energy from the sun, which produces DC current electricity. The current re-charges the battery back-up system daily for stored electrical power during evening hours. DC power from the Solar modules is sent to a device called an Inverter (or power converter) that changes DC Current to AC electricity that is sent to your electric panel. Net Metering: an agreement between the utility company and you, the customer. The agreement states that the utility will credit your account for excess electricity you produce and feed back into the utility grid. 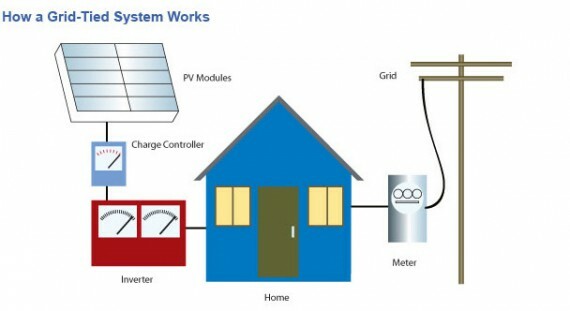 Solar power flows from the inverter to your electric meter. The electricity either goes to your appliances, or lights, or the grid, or some to each. Excess electricity that your home doesn't use is fed back into the grid, creating credits. Research shows solar panel installation pays for itself in as little as ten years. The sun shines almost every day in the Phoenix area, which means there’s an unlimited supply of precious energy ready to be harvested. Solar panel installation allows you to use the abundant sunshine to power your home. That means you’ll save all kinds of money on your utility bill. The cost of installing solar panels in Phoenix is nominal when compared to how much money you’ll save over time. Most solar users cut their utility bill at the least in half when they install panels. Call 602-547-1598 now to start saving money. Don’t let your homeowner’s association tell you solar panels aren’t approved. State law prevents any HOA in the state from denying you the right to have efficient, money-saving solar power. Our Solar Panels are HOA Approved! from denying the use of Solar Power for your home. You will still have to let the HOA know of your plans for installing solar and file the appropriate applications. Solar panel installation means you’re putting energy independence in your own hands. No one can claim ownership of the sun, so it’s your right to harvest its energy for your own use. Call Arizona Accurate today at 602-547-1598 and learn more about solar panel installation in Phoenix and surrounding areas. Make an investment in your home with solar panels. Installation can add value to your home. Studies also show homes with solar panels often sold 20% faster than homes without solar power. Arizona Accurate stands behind all of our Solar Electric installs and equipment. Most of our work comes from word of mouth. This proves at Arizona Accurate we care for our customers. Arizona Accurate prides itself on being able to keep costs down for our clients and being able to help our clients save money. If you want to take the next step toward energy independence, give Arizona Accurate a call today. You’ll save money and increase the value of your home. Call 602-547-1598.